April 25, 1987 – Superstars: Demolition (Ax and Smash) defeated Jim Powers and Paul Roma. May 9, 1987 – Superstars: Butch Reed, Nikolai Volkoff and The Iron Sheik defeated Jim Powers, Joe Mirto and Paul Roma. May 10, 1987 – Wrestling Challenge: Jim Powers, Paul Roma and Tito Santana defeated Bob Orton, The Magnificent Muraco and Tiger Chung Lee. June 6, 1987 – Superstars: Demolition (Ax and Smash) defeated Jim Powers and Paul Roma. June 7, 1987 – Wrestling Challenge: The Dream Team (Dino Bravo and Greg Valentine) defeated The Young Stallions (Jim Powers and Paul Roma). June 20, 1987 – Superstars: Hercules, King Harley Race, King Kong Bundy and Paul Orndorff defeated Don Driggers, Jim Powers, Mario Mancini and Paul Roma. 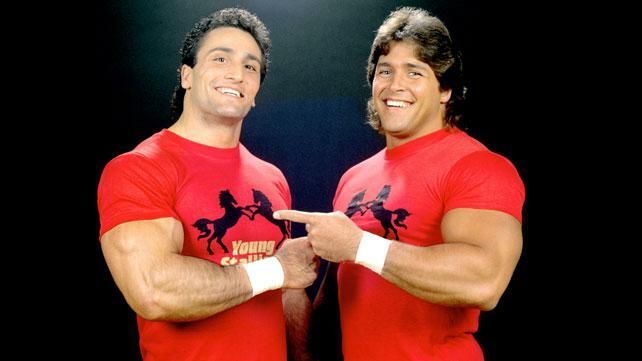 July 1987: Paul Roma and Jimmy Powers were teamed up as jobbers, and were later given the name “The Young Stallions”. August 22, 1987 – Superstars: The Young Stallions (Jim Powers and Paul Roma) defeated Kamala and Sika by count-out. August 30, 1987 – Wrestling Challenge: Hercules and King Harley Race defeated The Young Stallions (Jim Powers and Paul Roma). September 5, 1987 – Superstars: The Hart Foundation (Bret Hart, Danny Davis & Jim Neidhart) defeated Brady Boone & The Young Stallions (Jim Powers & Paul Roma). September 26, 1987 – Superstars: The Young Stallions (Jim Powers and Paul Roma) defeated The Shadows (Shadow #1 and Shadow #2). The Young Stallions used the song “Crank It Up” by Jimmy Hart for their entrance music. October 3, 1987 – SNME: The Young Stallions defeated WWF Tag Team champions, the Hart Foundation, in a non-title match! November 26, 1987 – Survivor Series: The Young Stallions were survivors along with the Killer Bees in their match. ~~~Team #1: The British Bulldogs, The Rougeau Brothers, The Young Stallions, The Killer Bees and Strike Force. ~~~Team #2: Demolition, The Hart Foundation, The Bolshiviks, The Islanders, The Dream Team II. ~~~Jimmy Hart claimed they stole it from him, since he had plans to let the Hart Foundation use it as THEIR entrance. October 4, 1987 – Wrestling Challenge: The Young Stallions (Jim Powers and Paul Roma) defeated Dave Wagner and Rick Renslow. November 28, 1987 – Superstars: Koko B. Ware & The Young Stallions (Jim Powers and Paul Roma) defeated Barry Horowitz, Dusty Wolfe and Terry Gibbs. December 20, 1987 – Wrestling Challenge: The Young Stallions (Jim Powers and Paul Roma) defeated Dave Wagner and Rick Renslow. January 17, 1988 – Wrestling Challenge: The Young Stallions (Jim Powers & Paul Roma) defeated Los Conquistadores (Conquistador Dos & Conquistador Uno). January 24, 1988 – Royal Rumble: The Islanders (Haku and Tama) defeated The Young Stallions in 2 straight falls. February 7, 1988 – Wrestling Challenge: The Young Stallions (Jim Powers and Paul Roma) defeated Brian Costello and Gino Carabello. February 13, 1988 – Superstars: The Young Stallions (Jim Powers and Paul Roma) defeated Joe Mirto and Terry Gibbs. March 13, 1988 – Wrestling Challenge: The Young Stallions (Jim Powers and Paul Roma) defeated George Petrovsky and Tom Stone. March 27, 1988 – Wrestlemania 4: Paul Roma and Jim Powers both participated in the 20-Man Invitational Battle Royal. April 30, 1988 – Superstars: The Young Stallions (Jim Powers and Paul Roma) defeated Barry Horowitz and Steve Lombardi. May 22, 1988 – Wrestling Challenge: The Young Stallions (Jim Powers and Paul Roma) defeated Rick Gantner and Tom Stone. June 11, 1988 – Superstars: Demolition (Ax and Smash) defeated The Young Stallions (Jim Powers and Paul Roma) by disqualification. October 16, 1988 – Wrestling Challenge: The Young Stallions (Jim Powers and Paul Roma) defeated Iron Mike Sharpe and Sandy Beach. November 24, 1988 – Survivor Series: The Powers of Pain Team defeated The Demolition Team in a Survivor Series match. 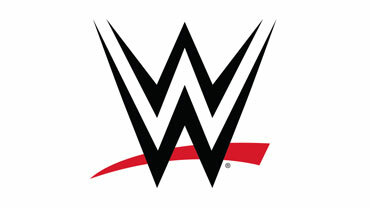 ~~~Team #1: The Powers of Pain, The Young Stallions, The Rockers, The British Bulldogs, The Hart Foundation. ~~~Team #2: Demolition, The Brain Busters, The Bolshiviks, The Rougeau Brothers, The Conquistadors. November 26, 1988 – Superstars: The Young Stallions (Jim Powers and Paul Roma) defeated Bubba Kirk and Max McGiver. November 26, 1988 – SNME: The Fabulous Rougeau Brothers (Jacques and Raymond) defeated The Young Stallions. Late 1988: The Young Stallions started having problems after being defeated by Demolition. The Young Stallions eventually split up, briefly feuded, Jim Powers went back to jobbing, and Paul Roma turned heel.